Round bicone. 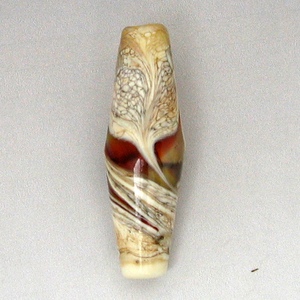 Fumed ivory base decorated with clear, red, and other glass. Final shaping resulted in some graceful curving patterns and windows into the interior of the center of the bead.